Warning: the video is extremely graphic and shows al Qaeda in Iraq fighters brutally executing Iraqi soldiers and policemen. The Islamic State of Iraq, al Qaeda in Iraq's political front in the country, recently released a video demonstrating a series of attacks against Iraqi military barracks, checkpoints, and security forces in Baghdad, Diyala, and Anbar provinces. A version of the video released by al Qaeda in Iraq's al Furqan media wing and subsequently posted on the LiveLeak web site shows footage from 12 separate, undated attacks. Four of the attacks specifically target Iraqi Army soldiers and facilities. 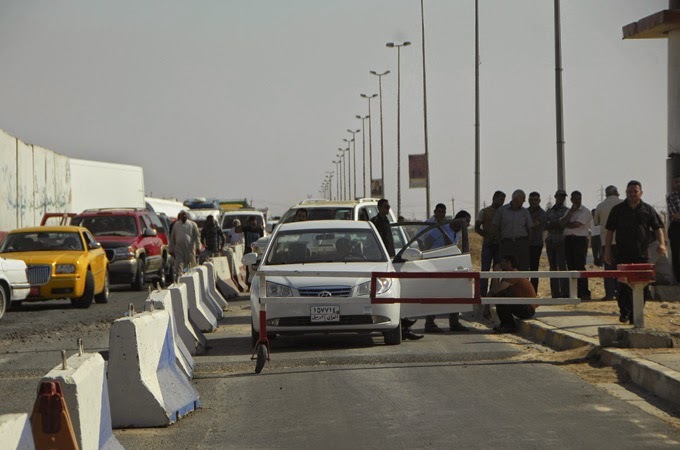 At least two of the operations are aimed at Iraqi police officers and facilities, and two show assassinations of specific individuals who are driving in personal vehicles. Several clips show al Qaeda operatives executing individuals or pumping rounds into dead bodies with suppressed handguns, with accompanying text declaring the assassins "knights of the silencers," according to a translation of the video provided by Steven Miller, a Research Associate at the Foundation for Defense of Democracies. Five of the attacks are identified as taking place in Baghdad and two are said to be in Diyala province, including a large attack on a base which is shown at the 0:30 mark in the clip. A major attack seen through night vision, at 8:11 in the video, was executed against an Iraqi army base in Anbar province. The video is similar to a previous release detailing a March 2012 raid in Haditha that killed 27 Iraqi policemen, including two commanders. Both videos tout the execution of ISF personnel, and display AQI's continuing ability to plan and execute coordinated operations against security facilities. These attacks are part of multiple 'waves' of al Qaeda's "Destroying the Walls" campaign, which was announced by AQI emir Sheikh Mujahid Abu Bakr al Baghdadi on July 21, 2012. On Jan. 20, AQI claimed responsibility for the most recent "third wave" of the campaign, which included the assassination of Iraqi member of parliament Sheikh Aifan Sadoun Aifan al-Issawi on Jan. 15. Aifan, a prominent founder of Fallujah's tribal "Awakening" against al Qaeda begun in 2006, was killed when an AQI operative dressed as a worker detonated a suicide vest at a construction site south of Fallujah. Al Qaeda in Iraq has shown a resurgence after the withdrawal of the US military from Iraq at the end of 2011. While AQI does not openly control territory as it did in 2007, before US and Iraqi forces drove it from strongholds throughout the country, the terror group can still organize and execute significant attacks, such as the Haditha raid, and a number of suicide bombings, including one that killed 42 Iraqis at Shia mosque in the city of Tuz Khurmatu on Jan. 23. Al Qaeda in Iraq has also been empowered by recent unrest in Syria, expanding its operations in the neighboring country under a new banner, that of the Al Nusrah Front for the People of the Levant, one of the most prominent rebel groups fighting the regime of Bashar al Assad. The US State Department designated Al Nusrah as a global terrorist entity on Dec. 11, 2012, stating that the group is a "new alias" for al Qaeda in Iraq and is in fact directly controlled by AQI's emir.